In February I discovered the work of Jerome Charyn, a prolific American writer who creates unique, captivating voices for his very diverse characters. I reviewed his novel, The Secret Life of Emily Dickinson, and I absolutely loved the book. 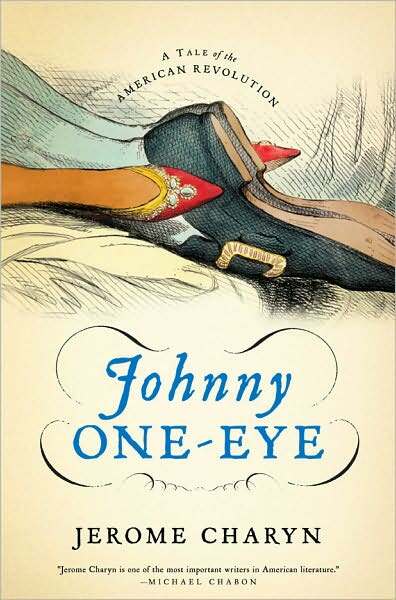 So today I’m pleased to offer an excerpt from another of his recent novels, Johnny One-Eye, and also a few insights about the book from the author. 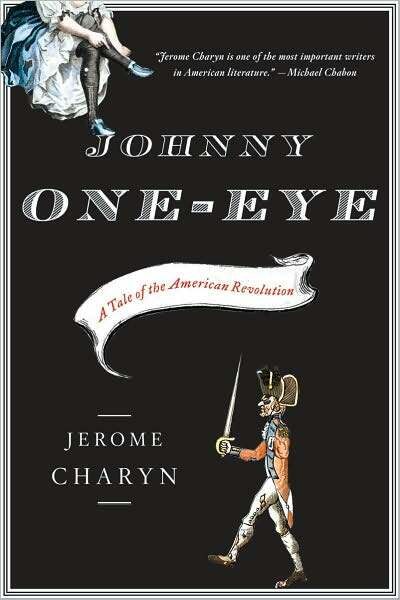 The novel is set during the American Revolution and the story is told by the fictional character, Johnny One-eye. This character’s life becomes intertwined with everyone from George Washington to Alexander Hamilton. The son of aManhattanmadame, he lives in a brothel among prostitutes. Yet throughout the war, he seamlessly mingles with all classes in society from Prince Paul, the leader of the city’s Little Africa, to his disgraced former general, Benedict Arnold. His ability to adapt to any situation places him in a precarious position as both the British and American forces try to recruit him as a spy. He walks a perilous line trying to serve two masters while first and foremost looking out for himself. It was the very mask of war. General Sir William Howe, the British commander in chief, had disappeared with his armada of men and battleships. There was not a redcoat to be found in all the colonies, not even a drummer boy. And so there was a strange calm, a profound and disturbing silence instead of cannon fire. George Washington had arrived in Manhattan but a few weeks ago on his white horse. Both rebels and Loyalists were in awe of the Continental Army’s commander in chief, who sat in his saddle with the insouciance of a king. He was the tallest man on our island, and seemed everywhere at once, inspecting the works near Fort George, crossing with his horse on the barge to Brooklyn so that he could inspect our works at Brooklyn Heights. Every street in Manhattan had been turned into a ditch – our island was now an armed camp. Black stevedores dug beside militiamen. Women and children could not be found. We waited in a kind of fractured peace for the sound of the squall – the wind that would bring the British. General Howe could have but one objective: to drive Washington out of Manhattan, or better still, to break him and his army on the island itself and thus bring a quick death to the rebellion. The rebels’ hopes hinged on this very man, the farmer-soldier from Virginia. And the only time he ever appeared without his horse was when he visited Holy Ground, a street of brothels so named because of its proximity to St. Paul‘s Chapel; hence its whores were known as nuns. The commander in chief was not a whoremonger. But he did have a secret vice – he loved to gamble. He would come to Holy Ground and its most celebrated brothel, the Queen’s Yard, when he was mortally tired and could not sleep. He would play vingt-et-un – Manhattan blackjack – a game that might have been born at this brothel. He would lose his britches every third or fourth night, but the nuns who presided over vingt-et-un always returned his coins and his britches to the commander in chief. And since he never sat at the table with a single bodyguard, the nuns themselves would often drive him back to headquarters, a little north of Holy Ground. Why did you choose to write about this period in American history? JEROME CHARYN: For whatever reason, the Revolutionary War has always spoken to me. I grew up with this image of George Washington as a very tall, brooding man who had no language, and I had no language as a child. Living in the Bronx, I had no idea there was such a newspaper as the New York Times, for example. You just had the Daily News, the Daily Mirror, and the Bronx Home News. I felt particularly moved byWashington. You portray Washington as crafty, bold and larger-than-life rather than the dour, silent man from history books. Is it more important to you to create a good story or to be historically accurate? JC: Fiction often has a greater truth than most historical texts. I think of Napoleon, and I read War and Peace to get a sense of that particular time. Novelists see history as a story. We’re not burdened by “inaccuracies.” It doesn’t make any difference to me whetherWashington had a wartime love. It seemed perfectly natural that I give him one, considering the kind of power that he had as a man. I wasn’t trying to be devilish. Your roguish characters present the past in an intriguing manner. What appeals to you about using the picaresque style of storytelling? JC: The openness of the form. In Johnny One-Eye, it allows you to give the sweep of the entire Revolution. If I wrote this novel in the third person, I don’t think you’d feel the same intimacy if it were told by an omniscient narrator. I don’t think it would be as powerful. That first confrontation between Washington and Johnny really defines the entire book, because it shows howWashington is just as duplicitous with Johnny as Johnny is withWashington.Washington knows who he is without revealing it. “Nice,” happy people aren’t very good narrators. 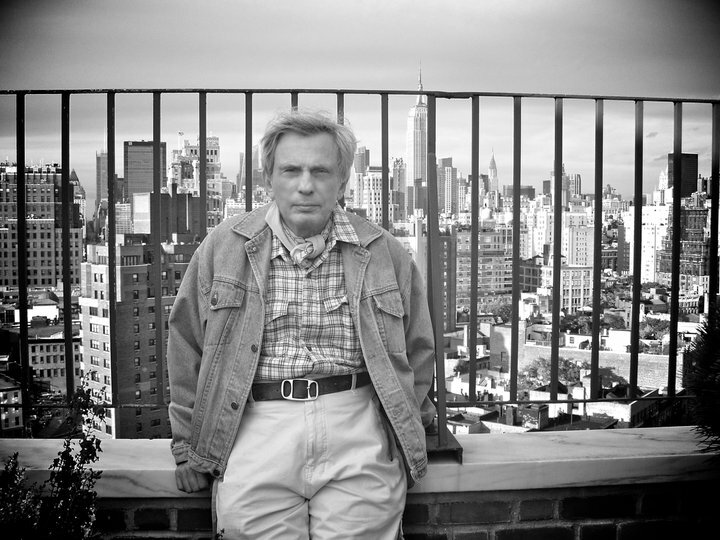 About the author: Jerome Charyn (bornMay 13, 1937) is an award-winning American author. With nearly 50 published works, Charyn has earned a long-standing reputation as an inventive and prolific chronicler of real and imagined American life. In addition to his writing and teaching, Charyn is a tournament table tennis player, once ranked in the top 10 percent of players inFrance. Charyn lives inParis andNew York City. This entry was posted in June 2011, Uncategorized and tagged American Revolution, historical fiction, Jerome Charyn, Johnny One-eye, The Secret Life of Emily Dickinson. Bookmark the permalink. Dianne, thanks for returning to another work by Jerome. We appreciate the support you have given his books and for sharing them with your blog readers. Again, thank you for hosting a stop on the blog tour. It’s always a treat to visit Ascroft, eh?